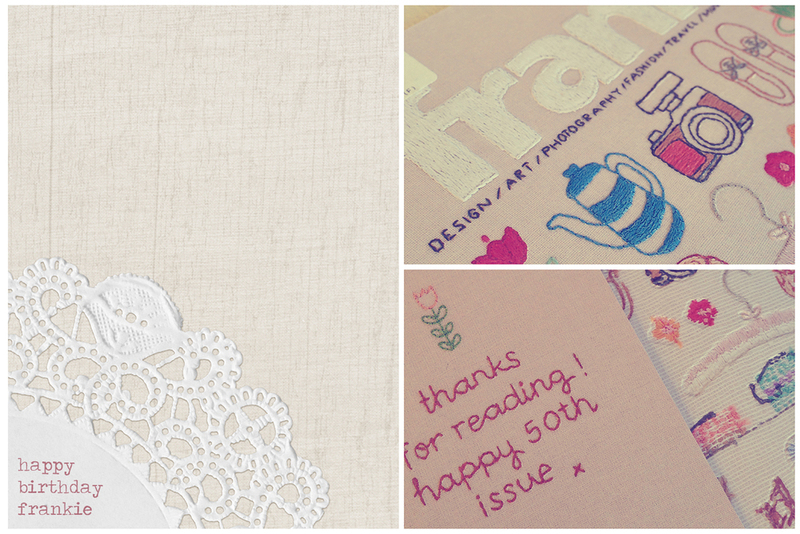 Smitten with the hand stitched/embossed look of Frankie's 50th anniversary issue. Click the image for a larger look. I may be a massive fan of digital magazines but how can you go past this...so deliciously tactile. I love that the back of the cover looks like the back of a cross stitch...a very neat one! I finally got to see peonies in real life! These lovely ones were from the local farmers market, sourced from the Spring Hill Peony Farm near Kyneton. If ever there was an excuse for another road trip, that would be it...I am going to visit there one day and breathe it all in (and take lots of photos!). 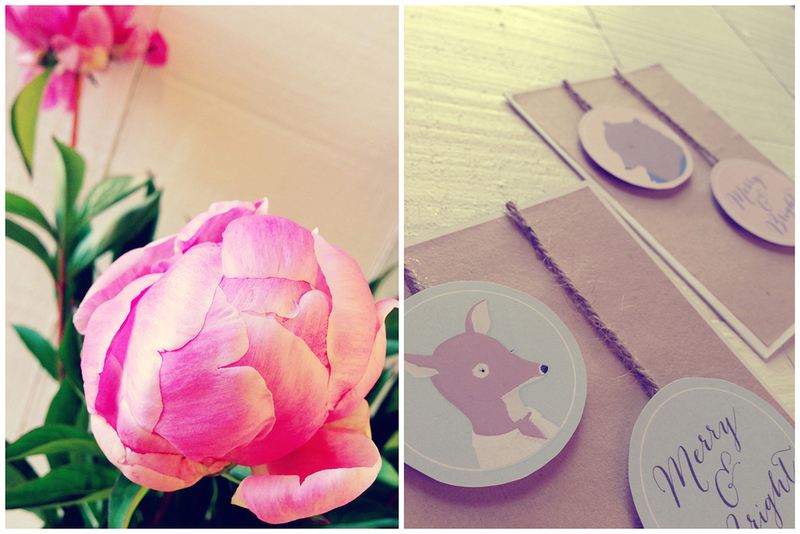 Also have been getting crafty...these are cards for my sisters...I tweaked Creature Comforts' free downloadable gift tags, adding some twine and some craft paper to some blank cards...another excuse to use my glue gun! Nothing better than receiving parcels in the post with more than the average padded post-parcel wrapping! 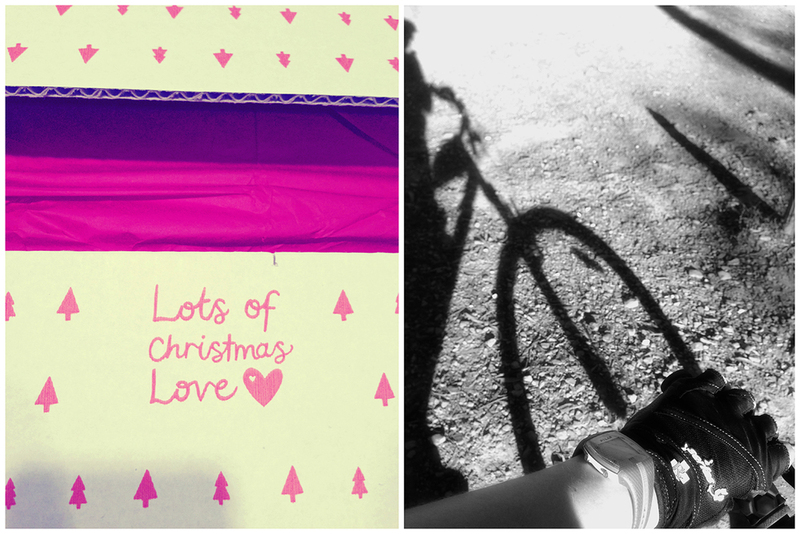 Have been clocking up a few km on the bike as part of the Map My Ride Stay Fit Holiday Challenge. Have also had my one disastrous puncture for the year on the Axedale Rail Trail so I should be good to go now. Seriously there is nothing better than the sun on your back and a breeze in your face...an awesome playlist pumping in your earbuds and the road/track all to yourself. Speaking of, click through for my new favourite track to get a new burst of energy when you think you're running on empty...love it.